Up to mid-afternoon on Monday, it was expected that British Prime Minister David Cameron would make headlines by announcing that the UK would finally take in a significant number of refugees from Syria’s conflict. What’s more, the chatter in London was that Cameron might try — more than two years after Parliament blocked military intervention against the Assad regime — to get authorization for British airstrikes against the Islamic State. However, Cameron had a surprise for MPs, the media, and Syria-watchers. While saying that Britain would accept 20,000 refugees over five years, his more dramatic announcement was that the Royal Air Force had carried out its first attack inside Syria – a drone strike on August 21, which killed three Islamic State fighters, including two British nationals. But was Cameron giving the real story? Or was his announcement a diversion to avoid difficult questions about Britain’s policy on Syria? And then there is a stranger possibility: did Cameron hide or distort the facts around the deaths of British nationals Reyaad Khan and Ruhul Amin? And if so, why? 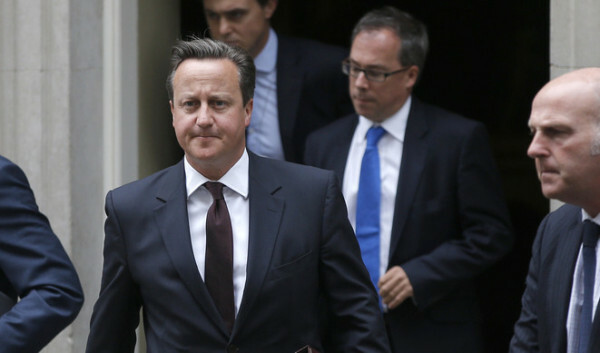 By last weekend, Cameron had put himself in a corner over the Syrian refugee question. Only a week earlier, he had said that he was satisfied with a British policy which had taken in only 216 Syrian refugees from outside the UK, although 5,000 other Syrians have been some form of protection since 2011. We think the most important thing is to try to bring peace and stability to that part of the world. I don’t think there is an answer that can be achieved simply by taking more and more refugees. But that raised the obvious question: given that more than 15 million of Syria’s pre-2011 population of 22 million are either refugees or displaced, what would Britain do to check the 4 1/2-year conflict? Given that a primary cause of the dislocation has been the Assad regime’s attacks on civilian areas, the logical answer would be to prevent Damascus from doing so in the future. But, after Parliament rejected military intervention following the regime’s chemical attacks in August 2013, the Government has shied away from proposing operations, even for a “safe haven” or “no-fly zone” inside Syria. To avoid the challenge of what should be done about Assad, the Prime Minister and his Ministers have long invoked the specter of the Islamic State. They have warned that the “terrorists” must be prevented from attacking inside Britain, thus moving attention from preventing their attacks in Syria. In July, British officials tested the waters for operations, leaking to the media that British pilots — but not British warplanes — had been involved in the US-led coalition’s attacks against the militants in northern Syria. However, the story receded, apparently because the Government assessed that the time was still not right for any military commitment. Cameron’s statement on Monday was a relatively low-cost diversion — even if the government now faces questions about the legality of the attack in Syria. For now, the focus on the specific drone strike “on August 21” will replace attention to the wider question of British participation in the coalition against the Islamic State. If the public reaction is not too sharp about the killings, the event could pave the way for an approach to Parliament for more operations. More importantly, the issue of “what to do about Assad?” has been kicked into the long grass once more. Even though that is the central question in the Syrian conflict, it — and the refugee issue — can be replaced with chatter about “what to do about the terrorists?”. Yet “diversion” may not cover the extent of Cameron’s PR manoeuvre on Monday: it is possible that the Prime Minister lied to Parliament about the killings of the two British nationals, “Reyaad Khan from Cardiff and Ruhul Amin from Aberdeen”. 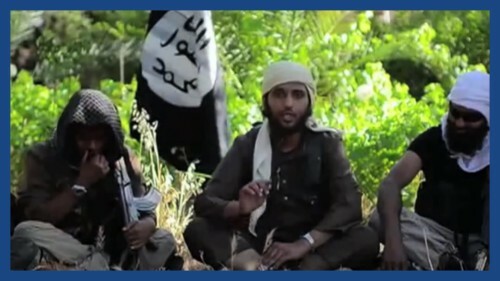 One of three young Britons who featured in a prominent Islamic State recruiting video last year is believed to have been killed by an air strike in Syria. The family of Reyaad Khan, a 21-year-old from Cardiff, had been shocked by his appearance in the video, along with school friend Nasser Muthana and a third man named as Abdul Raqib Amin from Aberdeen. A year later, Khan is thought to have been killed in Syria, where he was fighting with the terrorist group. Shiraz Maher, an analyst of jihadist movements at King’s College in London, said that social media accounts linked to the Islamic State had reported the death of “Abu Dujana”, a name used by Khan, in early July. South Wales police said they “could not confirm or corroborate [the] reports”. On 17 July, the BBC said — from information from unnamed officials — about British personnel including their three pilots, were “embedded” with the US-led coalition conducting airstrikes. Defence Secretary Michael Fallon said the arrangement was “standard operating practice” for exchange of allied troops. Last week, the situation was further complicated by a BBC Wales report, claiming confirmation from Reyaad Khan’s family via officials at a Cardiff mosque, that he “was killed in a US drone strike at the end of August”. So was it an extraordinary coincidence that Reyaad Khan — accompanied by Ruhul/Abdul Raqib Amin — was wrongly declared the victim of an airstrike in early July, only for both men to be killed on August 21 by a British drone? Or was Cameron “economical with the truth” for an unknown reason? But that is only an uncertainty behind the killing of three men, two of whom happened to be Britain. It is the far bigger uncertainties that the Prime Minister’s statement protected — What, if anything, will be done about the Syrian crisis? If Britain does take in 20,000 refugees over five years, what happens to the millions of others? And how long will the killing be allowed to continue with no prospect of a “safe haven”?